In my sketchbook: Geranium leaves and black ink pattern. This entry was posted in Sketchbook and tagged black ink, doodles, flowers, green, ink and watercolor, leaf on 2017-01-17 by . Cats go on a date! This entry was posted in Illustrations and tagged cat, ink and watercolor on 2016-02-15 by . Blue watercolor flowers and black ink. Schmincke watercolor and ink. This entry was posted in Watercolors and tagged blue, flowers, ink and watercolor, Schmincke, watercolor on 2016-01-23 by . 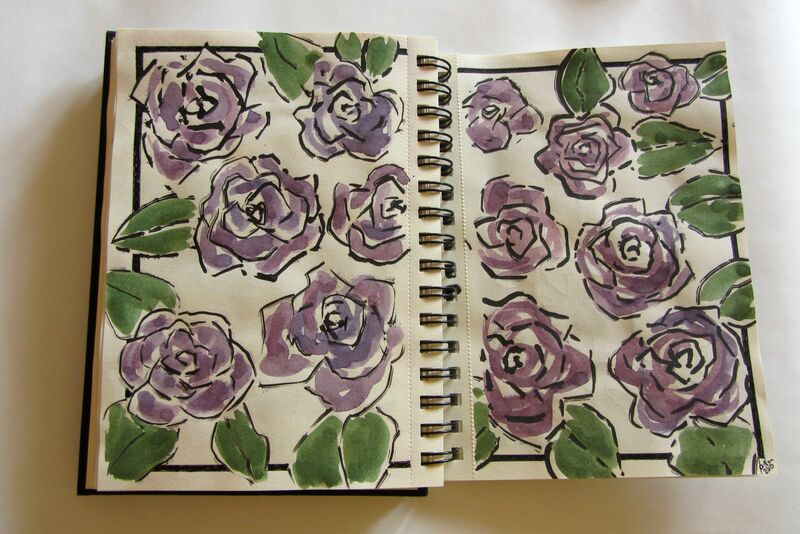 In my sketchbook: Quick and simple violet roses. Ink and watercolors. This entry was posted in Sketchbook and tagged flowers, ink and watercolor on 2015-06-23 by .